Matched gauges look so classy, don't they? When you're ready to install a new gauge set on your boat, browse Great Lakes Skipper's inventory of discount boat gauge sets and place your order online or over the telephone. 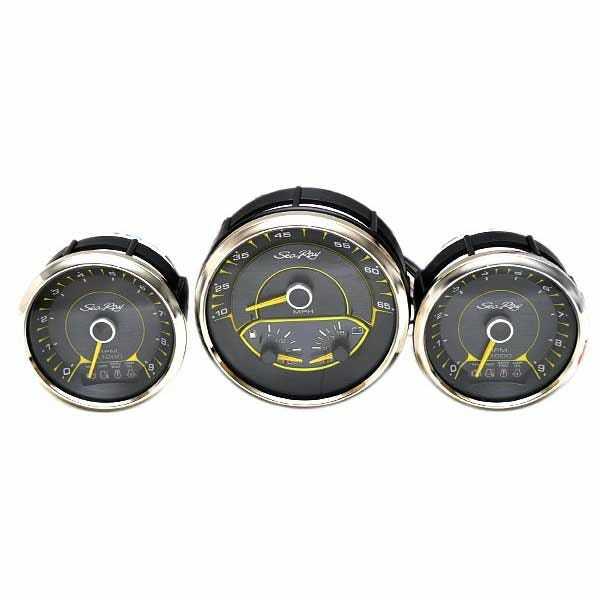 We have gauge sets for inboard/outboard engine boats, outboard motor boats, pontoon boats, and inboard engines in a range of colors from white to blue to black and beyond. Check our huge selection of new and replacement discount boat parts for closeout deals on boat gauge sets by Gekko, Faria, Medallion, Teleflex, Beede, and more.